A.L.I. 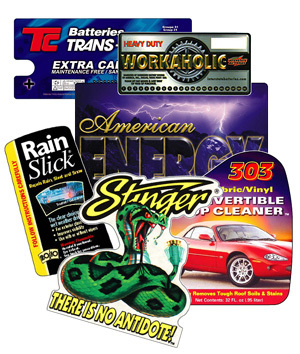 specializes in custom label production. We have the capacity to print labels from your existing artwork, or our art department can work with you to develop those cutting edge designs you're looking for. To view some of the types and quality of service A.L.I. can offer you, take a look at some samples of custom labels we've produced. To obtain a quotation for your specific needs, contact our customer service representatives at 1-800-344-4088, or take advantage of our convenient online quotation request form.